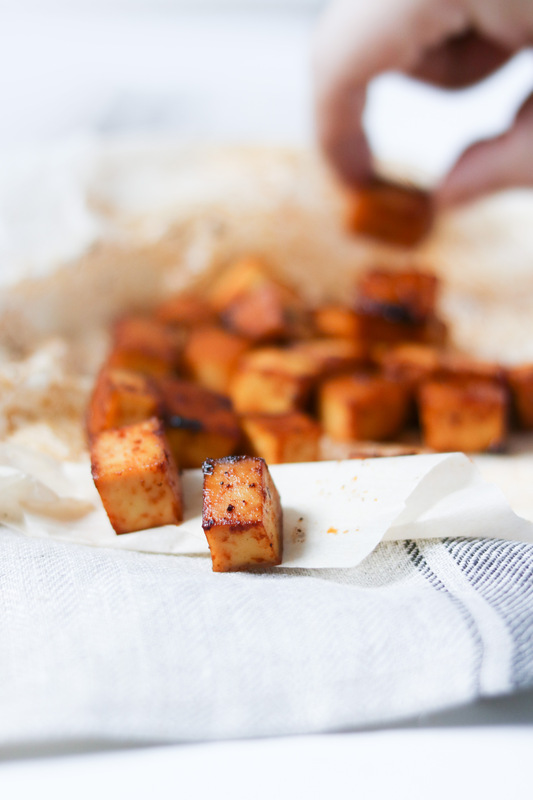 This recipe of spicy smoked tofu is so good. Honestly, I always have to kick my boyfriend out of the kitchen when making this recipe as he keeps on stealing my freshly marinated spicy tofu cubes. 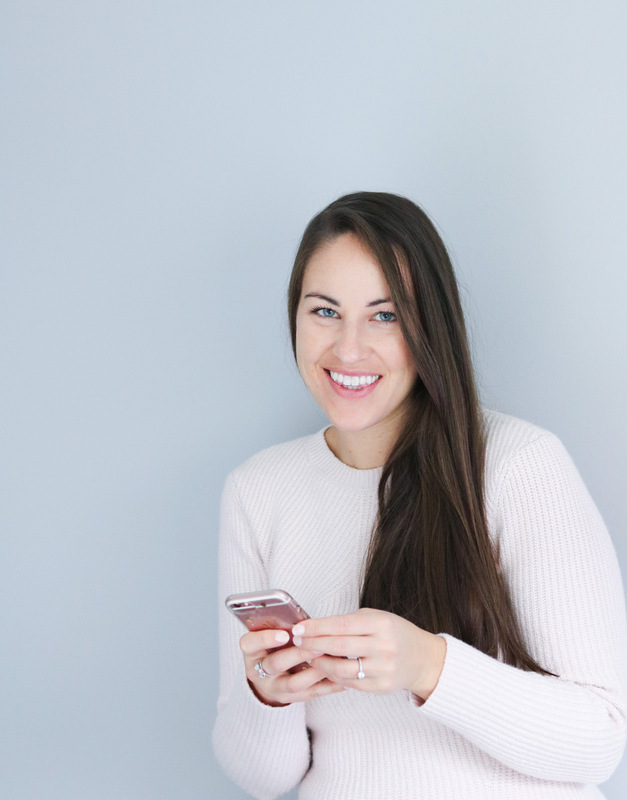 This recipe is at the top of my list of quick and easy recipes for weeknights. It takes no time to make and it’s yummy on everything; rice, steamed veggies, roasted veggies, Thai soup or even miso soup. The possibilities are infinite! In a bowl, stir in all the ingredients “FOR THE SMOKED TOFU’ except the tofu. On a cutting board, cut the tofu into cubes of 1,5 centimeters. 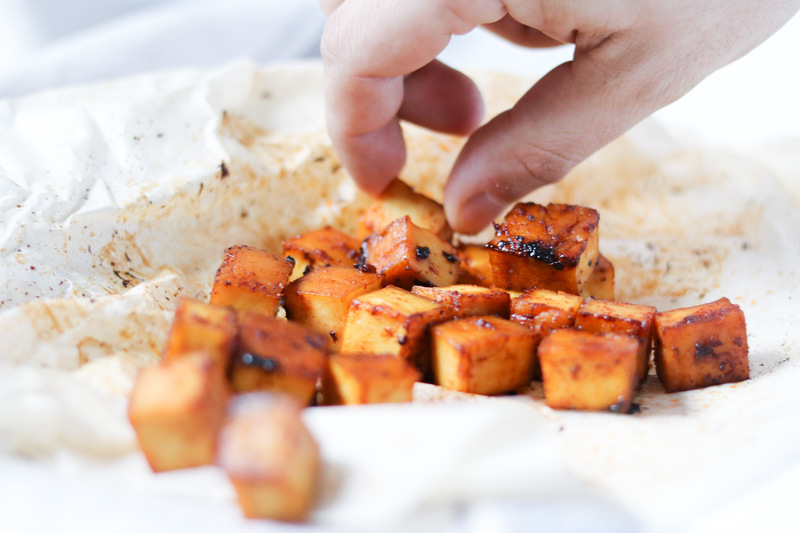 Add the tofu to the bowl with the marinade and toss to evenly coat the cubes of tofu. 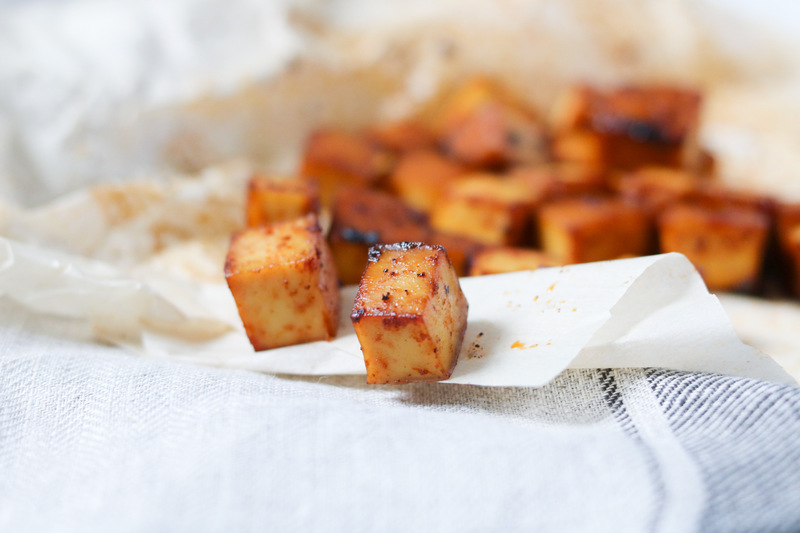 On a baking tray covered with parchment paper, add the marinated cubes of tofu. Bake in the center of the oven for 15 minutes, flipping them half-way through.